Top to bottom: Mini French Cheater Print by Suzuko Koseki; Daisies in Grey, Live Life by Yuwa; Deer and Cherries, 30's by Atsuko Matsuyama; Hiding Cats, Cocoland by Kokka and Language of Flowers, 30's Collection by Atsuko Matsuyama. I adore the Language of Flowers print, I love retro text prints and how cute is the Hiding Cats selvedge?! Neon Clouds in orange and navy by Hokkoh; Scattered in neutral, Mochi Canvas by Rashida Coleman-Hale and some twill ribbon. A lovely selection of goodies! I really like the hiding cats print, too cute! Enjoy your 'selfish sewing' - the neon clouds fabric will be perfect! Lots of lovelies. 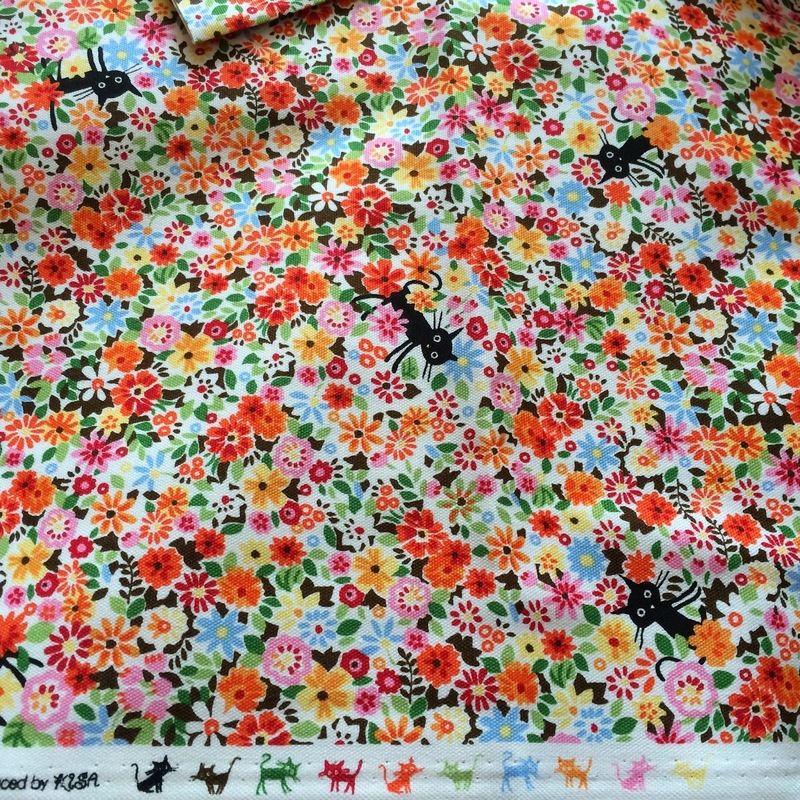 I too love the Language of Flowers fabrics, and the cats one is adorable. 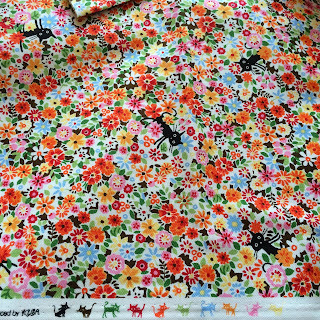 I did wonder at first what you were referring to when you mentioned the Hiding Cats fabric as, well, I didn't see any cats! Superb stashing just because, I don't like cats but that is pretty cute fabric! Enjoy your selfish sewing. tOOk me a moment to spot the cats. Off to stalk you on 52 quilts!